BICYCLE Parking at the Music Festival. Leave your worries and your car behind – the best way to get there is to walk or bike to the Festival. 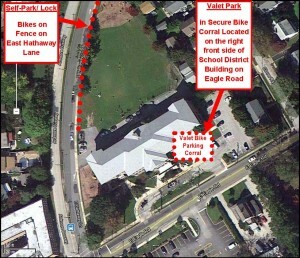 Use secure bicycle “Valet Parking” provided by the Friends of Haverford Trails volunteers at the front/right side of the School building on Eagle Road. 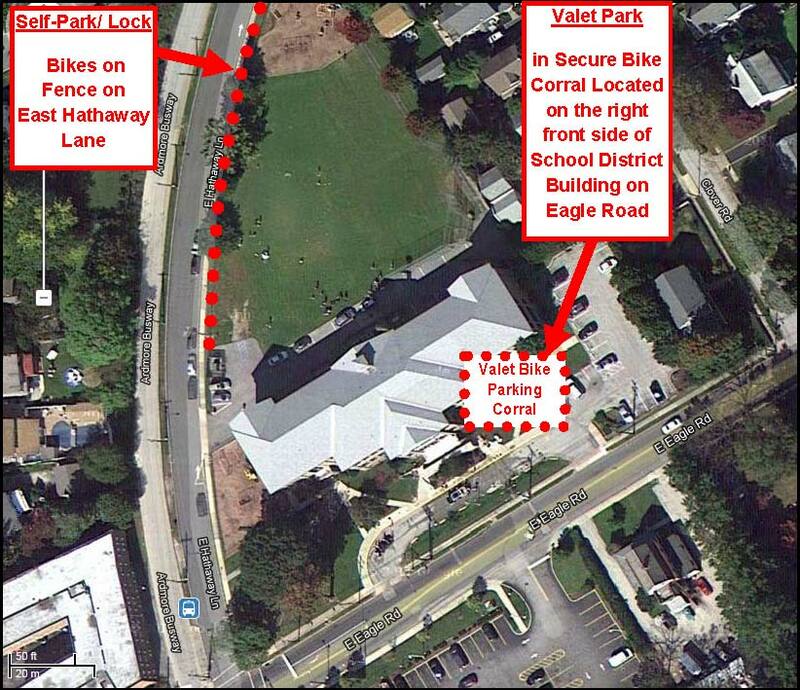 Or you can “self-park” by locking up to the fence behind the school on Hathaway Lane. If you are planning to stay after dark, don’t forget your lights! Win a Bike Townie Basket or Pannier. Give us your wristband number at the bike corral and you will be entered to win a bike “Townie Basket” or attractive pannier that converts to a brief case in the HTCC raffle. Even if you self-park, stop by the bike corral anyway and register to win one of these great bike carriers below. 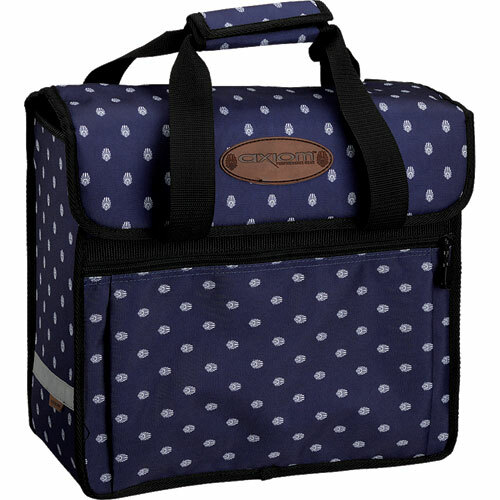 This bike pannier is great for a trip out on the town. It attaches easily to your rear bike rack and has a convenient handle and shoulder strap, so you can carry it with you. Posi-Lock mounting hardware, simply attach the 2 PosiClips at the top and you’re off! 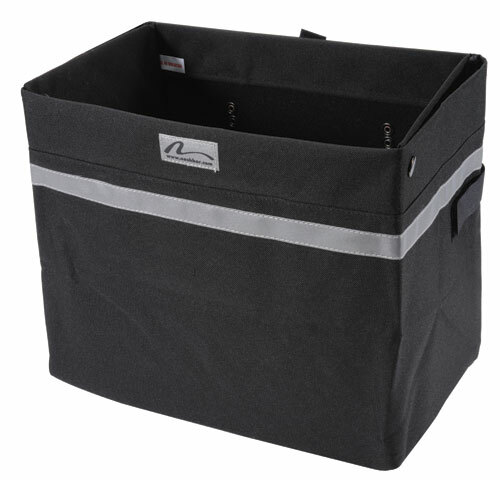 Nashbar Townie Basket bag helps you carry groceries.